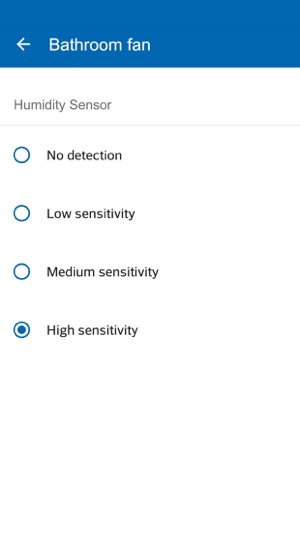 Vent-Axia Connect - Functions and settings for Lo-Carbon Svara® and Pure Air Sense®/Svensa® via app. 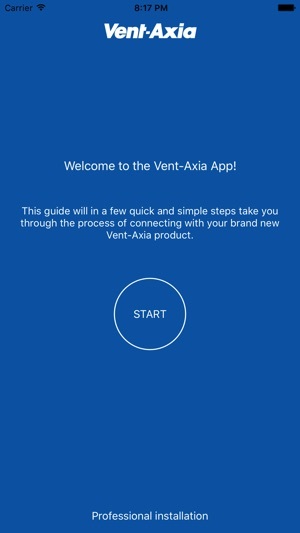 Each Vent-Axia Svara® contains a unique code, which is required to pair the fan with the app. Enter or scan the code using the app’s setup wizard. The code may be found on the back of the product manual or on the arm of the pull out motor hub. When the fan is supplied, it is pre-set to be an automatic bathroom fan with constant trickle flow of 30m³/h and humidity / light detectors which activate to a boost flow of up to 95m³/h. The app control via Bluetooth gives you the functionality of five fans in one. Via this app, you can set up Svara® for various functions and environments. You can easily set Svara® to function as an intermittent fan which is humidity or light activated. Via the app you can also use a simple calendar function where you can activate various functions depending on weekdays or weekends, such as purge or silent running hours. Fault indication: A red LED on the fan indicates power failure when the calendar function has been activated. This is easily recovered by the opening the app and re-synchronising with the fan. 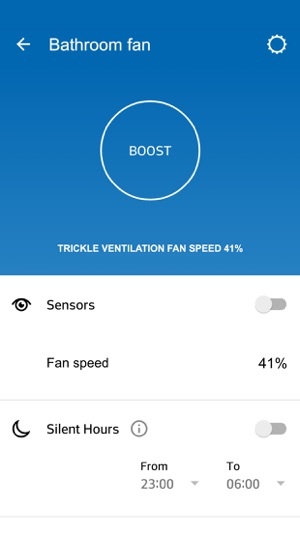 The PUREAIR Sense/Svensa Fan is simple to pair with the VA Connect app. Press and hold the connect icon at the bottom of the touch panel on the fan for 8 seconds. The icon will flash and the app will prompt to finish the connection set up with the fan. The fan is supplied factory set for optimum use in a bathroom. The app allows all functions of the fan to be monitored and fully customized if required, to suit different environments and situations. The icons in the app represent the icons on the touch screen of the fan and provide clear indication as to which function, or functions are running. Individual function boost speeds can be adjusted, as well as the timer, it’s delay and the sensitivity of the light, humidity and odour sensors. Airing function activity settings can also be adjusted, as well as choosing between intermittent and continuous fan modes. 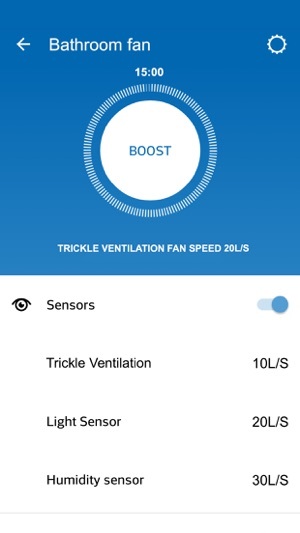 The fan can also be paused or boosted with dedicated app buttons. The pause function can also be customized to different timings if needed. Real time monitoring is also active in the app, showing the fan’s current air pressure status. This will change as different functions become active. When the app is in use, changing the settings on the touch panel is not possible. Head back out to the main menu of the app and the fan will re-activate the touch panel. Please see fan instructions for more details on connecting to the app and using the touch panel.